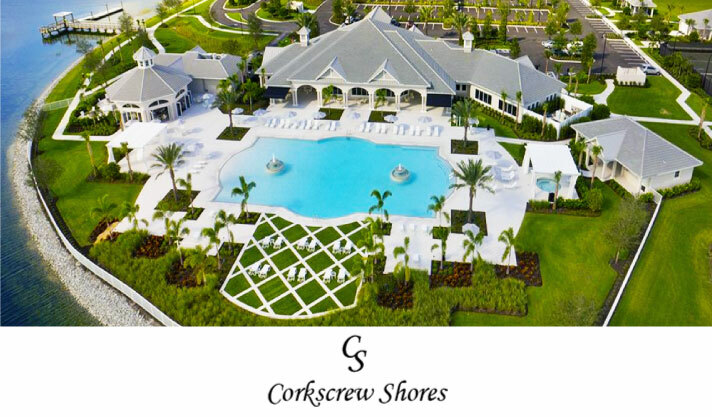 Corkscrew Shores, one of Estero’s newest and most exciting gated communities. 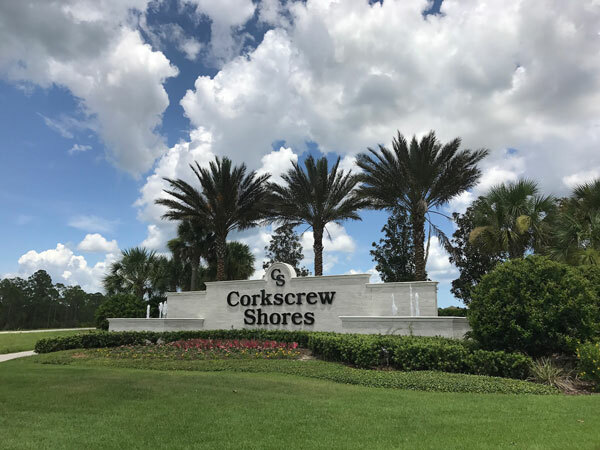 Corkscrew Shores is a stunning 722-acre, a residential master planned community located on Corkscrew Road, 3 miles East of I-75 in Estero, Florida developed by Cameratta Companies and Pulte Homes. Corkscrew Shores isn’t your traditional community. We have taken the traditional community concept and enhanced it to feel like your home is a vacation destination. 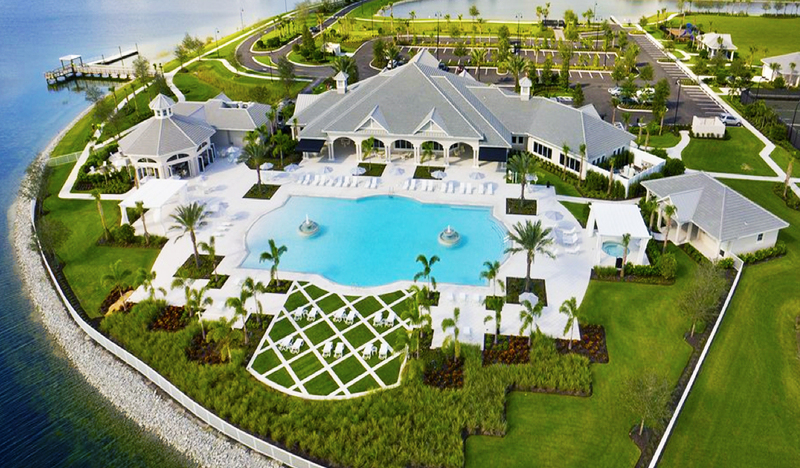 The community’s fresh coastal theme was designed to complement its 240-acre spectacular blue lake that is the centerpiece of this top selling development. Our state of the art amenities creates endless opportunities for residents to gather and dine with family, friends, and neighbors. 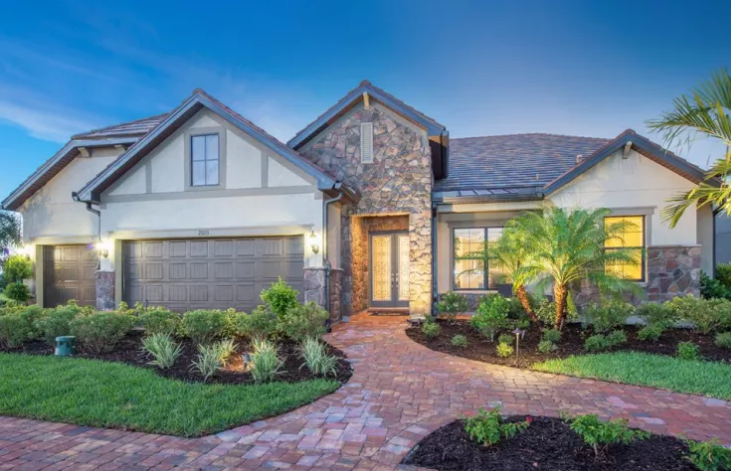 The Outdoor amenities at Corkscrew Shores include a resort-style swimming pool with decorative water fountains, spa, outdoor fire pits, walking trails and spacious oversized pool deck. 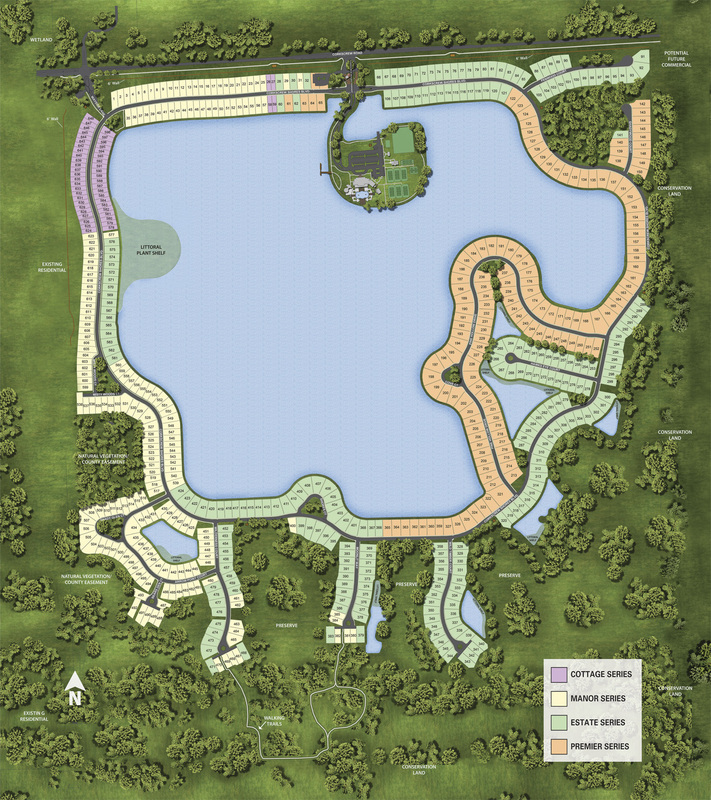 With its scenic 240-acre lake, kayaking, electric boating or pier fishing can be enjoyed. Har-tru tennis courts, bocce ball courts and pickle ball courts are available for the sport enthusiasts. Delicious dining options await at The Captain's Club, an outdoor full service bar and pavilion. 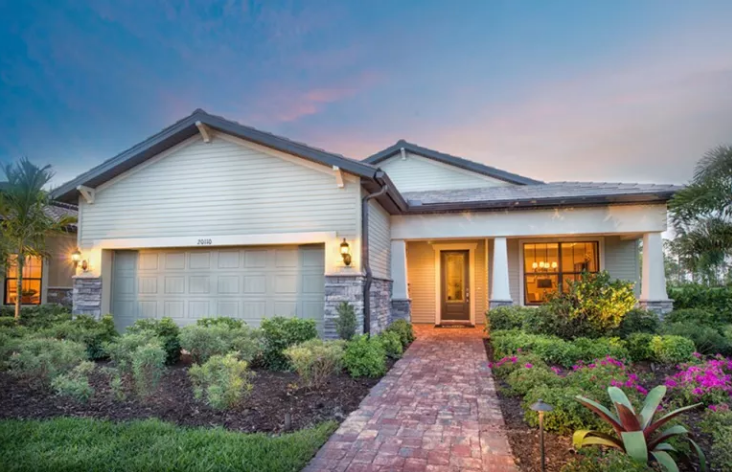 With its soaring tongue and groove ceiling, and almost 360 degrees of floor to ceiling sliding glass doors, it not only gives you panoramic views of the lake, but allows for a year round dining experience, without the worry of the Florida heat and weather. 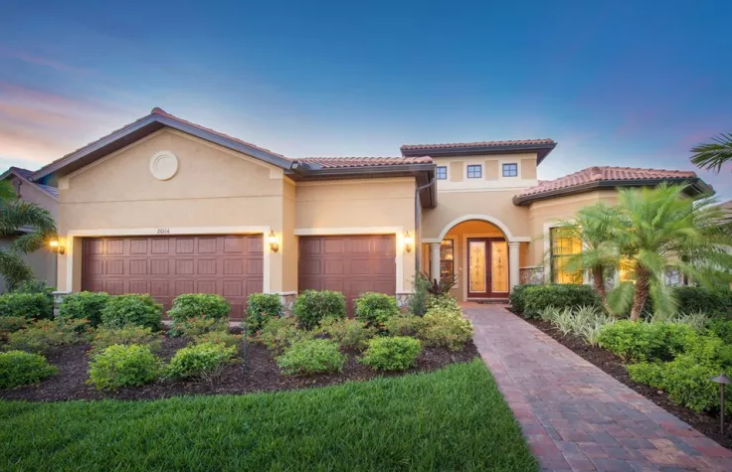 You are sure to feel like you are on vacation at a tropical retreat, rather than at home in your own backyard. 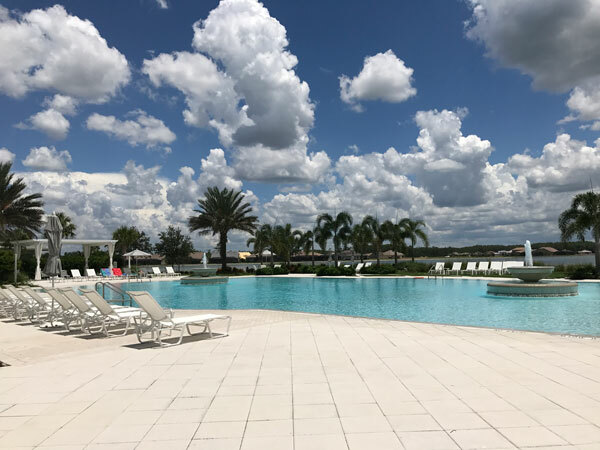 Relax by the resort pool and spa, play a pick-up game at the sports courts, or take a boat ride on the 240-acre lake. 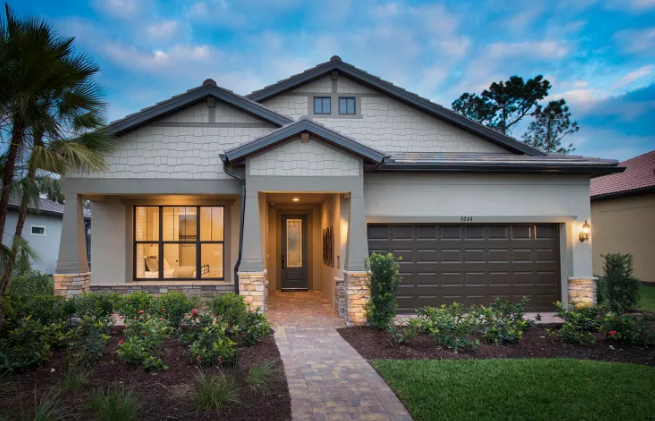 gourmet or master of organization, Pulte Homes offers room options and configurations to fit your lifestyle. Abbeyville. A well-integrated kitchen, dining area, and gathering room – filled with natural light – support the entertaining and everyday living. An adjacent flex room serves as an office or cozy den. The Owner’s Suite with walk-in closet looks onto the backyard. A full guest suite resides at the front of the home. Tangerly Oak are sure to be a delight. 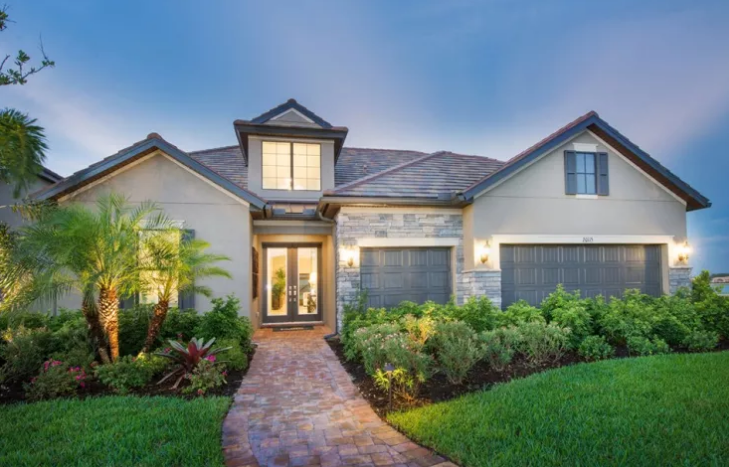 This single-story layout offers a guest suite as well as a spacious Owner’s Suite with his-and-hers walk-in closets. 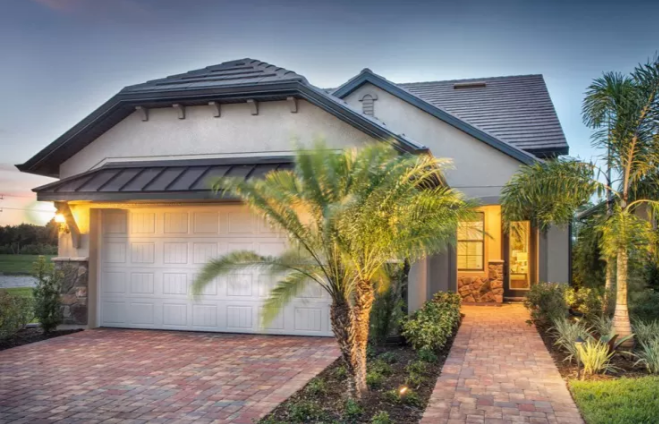 Small families (and couples) cherish the design’s special touches, like an extra garage bay for a golf cart and flex space than can be a office, den or additional bedroom. Stonewater maximizes functionality. 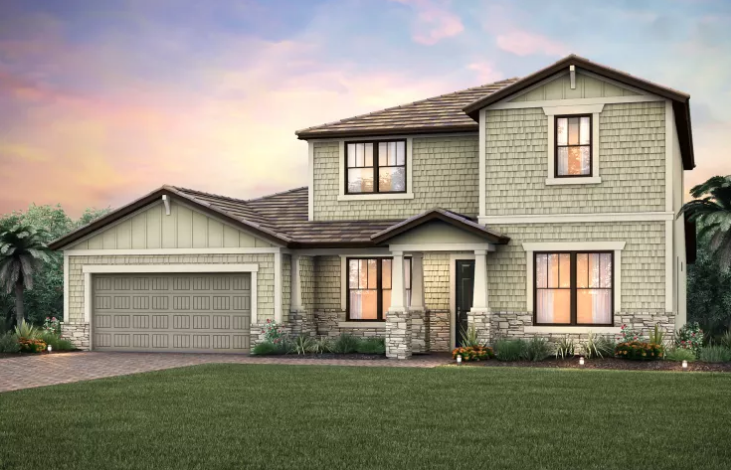 Its single-story design (with optional upstairs loft) easily accommodates overnight guests, thanks to two guest bedrooms, both with full baths. 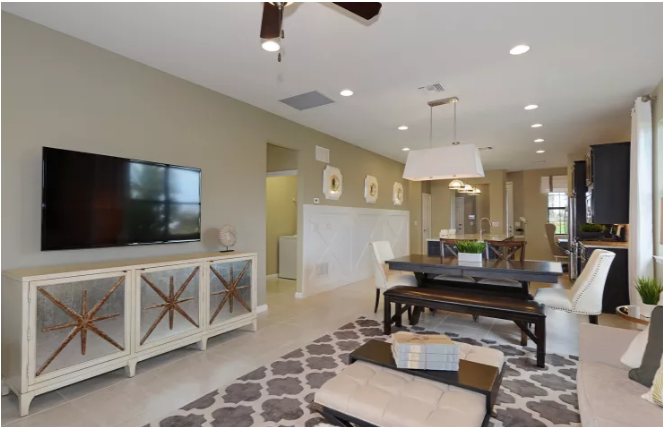 Stonewater’s open layout lends itself to making guests feel at home. The kitchen blossoms into a central living space, adjacent to a large dining area and covered lanai. Taft Street acovered front porch and dramatic foyer welcome family and friends to the warm gathering room and adjacent cozy den. The kitchen, nestled in the back of the home, connects seamlessly to both the dining and outdoor living areas. A sunlit Owner’s Suite with walk-in closet exemplifies Taft Street’s smart use of space in a single-story home. Pinnacle truly represents an achievement. The kitchen opens to the gathering room, dining area, and covered lanai, to suit both formal and informal socializing. 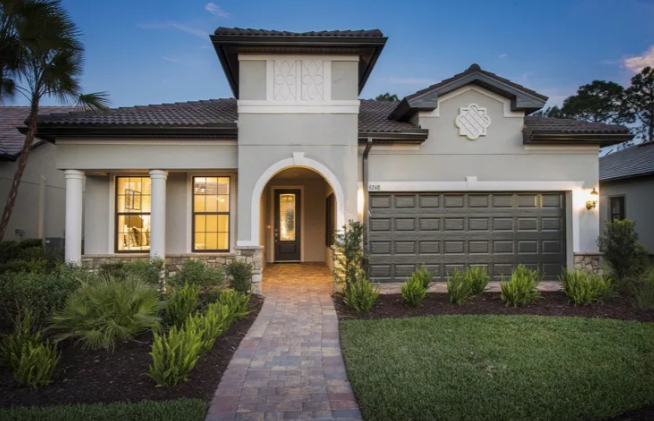 And private spaces like the den or Owner’s Suite (with huge walk-in closet) let family members still find “me time.” In the garage, an extra bay can hold a golf cart. Weatherford, starting with the inviting foyer. 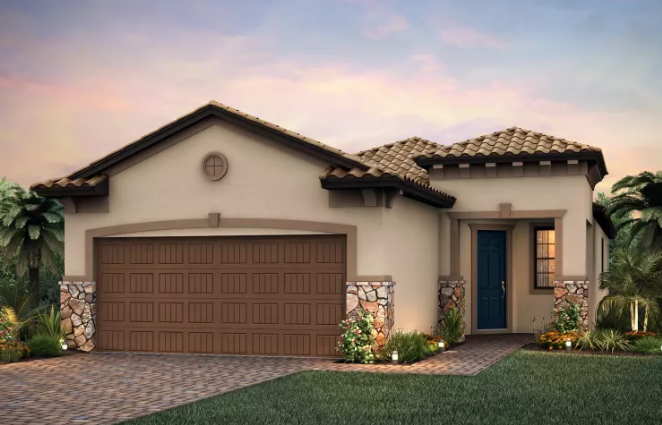 Family and friends can interact in the 2-story great room, then unwind together in the covered lanai. Separate casual and formal dining areas let you choose where to enjoy home-cooked meals. The first floor also boasts flex space for a study or den, and an Owner’s Suite that’s nestled away for privacy. 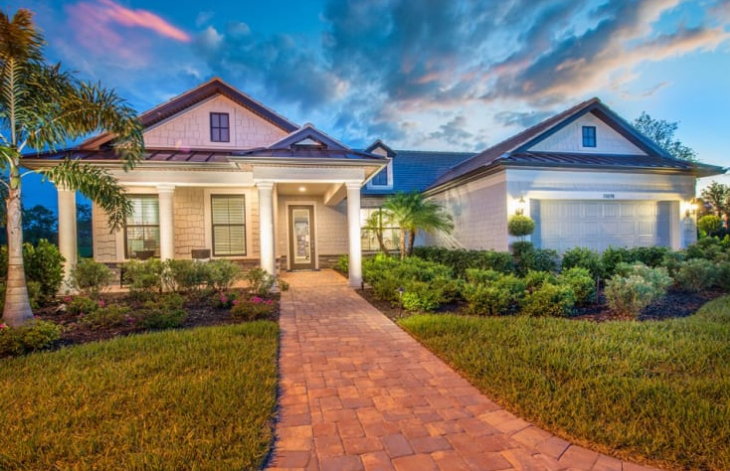 Clubview as you enter, long sight lines offer glimpses of the open kitchen, large gathering room, and covered lanai. 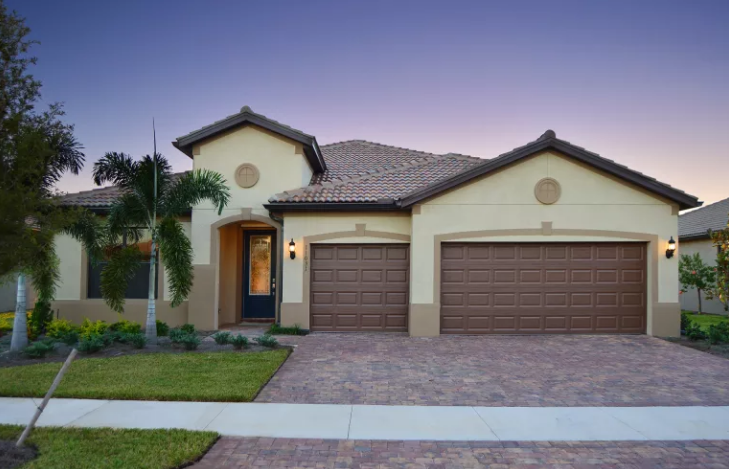 This single-story layout offers plentiful space, including two flex rooms and a 3-car garage. A transition hallway separates bedrooms for the kids – or grandkids – staying over.